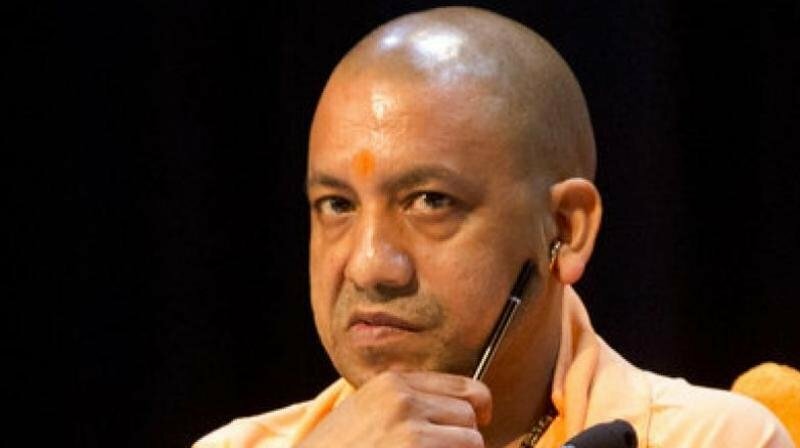 The Supreme Court on Monday issued a notice to the BJP-led government in Uttar Pradesh, and asked to explain within four weeks why Chief Minister Yogi Adityanath should not be prosecuted for delivering a hate speech in 2007 in Gorakhpur. Hearing the petition filed by Allahabad High Court lawyer Asad Hayat and journalist Parvez Parwaz, a bench headed by the Chief Justice of India Dipak Misra, Justice A M Khanwilkar and Justice D Y Chandrachud issued the notice to the Uttar Pradesh government in this regard, giving four weeks’ time to respond. Hayat was also a witness in the Gorakhpur riot case. On January 27, 2007, there were reportedly clashes between the Hindu and the Muslim community during Muharram procession which resulted in the death of one person named Raj Kumar Agrahari. Soon after the clashes – on the same day – Yogi Adityanath, who was the MP from Gorakhpur then, reportedly delivered hate speech against Muslims, which might have provoked the violence. After the incident, a curfew was imposed in the city. Adityanath, at the time, reportedly violated the imposition of section 144, and delivered the speech outside the main gate of Gorakhpur railway station, and talked about seeking "revenge" from Muslims for the death of Agrahari. Following this, Gorakhpur witnessed one of the most horrible communal riots, where two Muslim youths – one person from Gorakhpur and other from Padrauna district died, while mosques, houses, buses, train were set ablaze. On January 27, 2007, the Kotwali Police registered an FIR against Adityanath and others for promoting enmity between two groups. He was arrested, and was remanded police custody for 11 days. However, a petition was filed by Hayat and Parwaz in November 2008, who alleged that Adityanath’s inflammatory speech sparked the 2007 riots in Gorakhpur. The petitioners had demanded a probe against him under sections 302, 307, 153A, 395 and 295 of the IPC, which pertain to murder and rioting. Speaking with Newsclick over the issue, Hayat said, "After the hate speech in 2007, Yogi Adityanath, in a television show, had confessed his crime and was seen glorifying it. He is admitting his crime in front of public in a television show. It is sufficient evidence to convict him. Even after informing investigative agencies that he admitted his crime, agencies did not include this as a proof, and Allahabad High Court ignored. That's why we approached the Supreme Court." Hayat further added that it is very unfortunate that investigative agencies are not including Adityanath's interview of the TV show where he himself is accepting his crime. However, in February 2018, the Allahabad High Court division bench headed by Justice Krishna Murari and Justice AC Sharma had dismissed a writ petition seeking a CBI investigation into UP Chief Minister Yogi Adityanath’s alleged role in the 2007 riots. The petitioners sought a probe by an independent agency into the riot case, as they apprehend that the CB-CID might fail in doing it in an impartial manner.